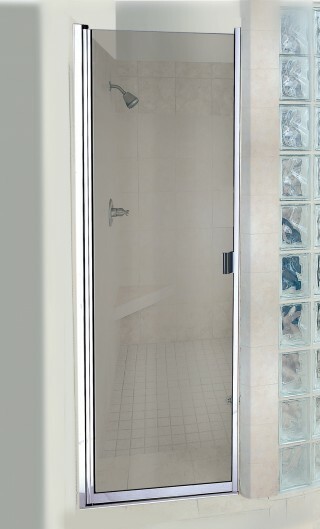 Semi-frameless reversible swing doors with full length hinge rail and full length magnetic latch. Anodized aluminum extrusions with built-in adjustment for out of square walls. Refer to specific enclosure model for pricing.